You heard me. Everyone wants me to have a meltdown. In fact, everyone I know wouldn’t mind if I had a meltdown every single week. But it is not as bad as it sounds. By meltdown, they don’t mean a hissy fit or dissolving into tears. Instead, it means they’re waiting for me to literally melt down something brown and sweet and…yes, you knew this was going to involve chocolate somehow. In short, me having a meltdown is code for me making fudge. Or chocolate mint thins. Or truffles. Naturally, there is photo evidence of my latest meltdown. 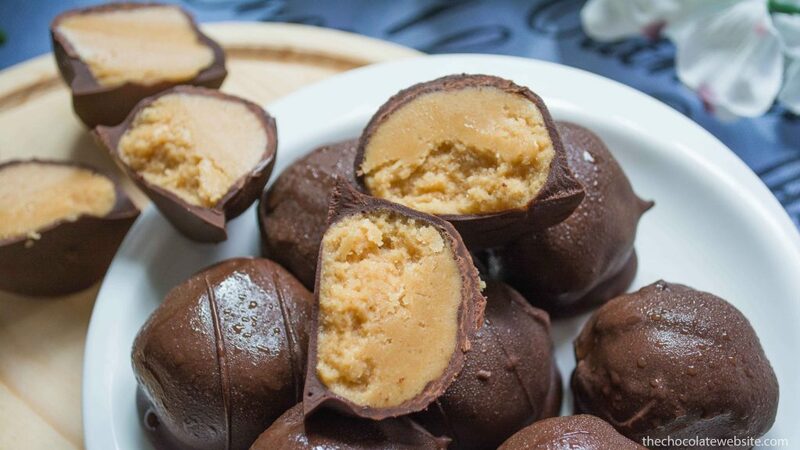 Peanut butter truffles. Yes, they are having a very bad hair day (or whatever you say when truffles start sweating because they don’t like the temperature of the photography studio place where I take photos). Always melt more chocolate than you think you’re going to need. Because you can make all sorts of things with the leftovers. Never let anybody watch you handle the chocolate because they will start marveling how it is possible for one person to leave chocolate on so many surfaces. Also never let anyone know you are making anything because they will show up with puppy dog eyes begging for chunks of chocolate or truffle centers. Always make sure there is room in the freezer/fridge BEFORE standing there with messy hands and a full sized pizza pan laden with truffles, wondering where you’re going to put it. And last but not least…either portion off truffles so everyone has their own container, or insist on being around to divvy them up. Ps. 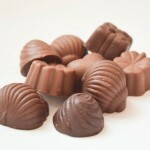 The peanut butter truffle recipe is from Use Real Butter. Don’t be silly, my birthday isn’t until April (VERY EARLY April, FYI).